Home ♦ 2015 Events ♦ CARNIVAL: A STORY OF MASKS, PARADES, BATTLES AND FOOD! One of the most typical Italian festivity has just begun: Carnival. For about two weeks this ancient tradition, which has likely its roots in pagan and pre-Christian cults, will live again all over Italy with more or less emphasis according to the region. Some cities gained popularity far beyond national borders due to the particular celebrations taking place at Carnival, attracting visitors with their highly refined masks, hilarious chart parades or fierce “battles of oranges”: Venice, Viareggio (in Tuscany), Ivrea (nearby Turin), Acireale (in Sicily) are among the best known. Don’t forget to taste the typical Carnival sweets, such as the castagnole (‘Carnival dough balls’, ‘Carnival fritter’) and the crostoli (‘angel wings’, which in fact are called differently depending on the region… you might find frappe, chiacchiere etc as well). 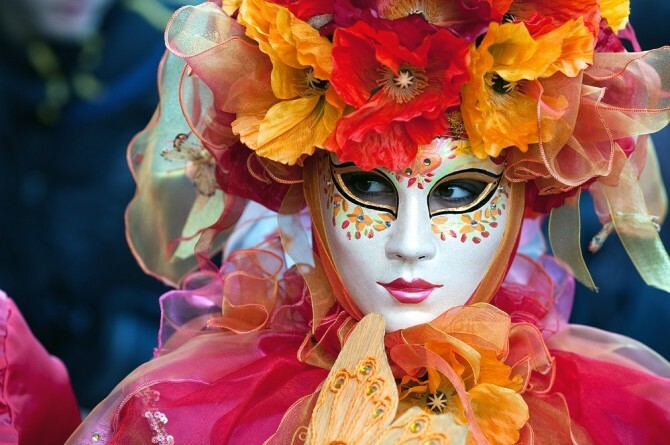 Hotel Des Artistes will be happy to provide you with info on the best Carnival parties & events in Rome!